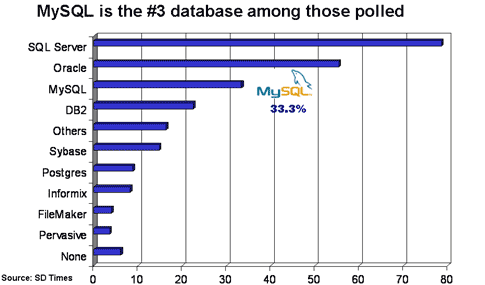 Found this Fermilab summary where a comparison of these 3 popular relational database management systems (RDBMS) was made back in 2005. That’s interesting. I always thought that Oracle is the market leader in RDBMS used by corporates and enterprises? MySQL: Web servers. Common on Linux-based systems. PostgreSQL: Education, Telephony, DNS Services, Web services. There’s also an article here about MySQL versus PostgreSQL. * All these references were written back in 2005 and might be a bit outdated.